ALL INDIA INSTITUTE OF MEDICAL SCIENCES, JODHPUR, Is Appointing Eligible & Interested People To The Post Of Various Non Faculty Posts Through Direct Recruitment Basis. So Interested Can Apply For This Job Through Online Application Mode, Within The Given Time Period Mentioned In The Official Advertisement. 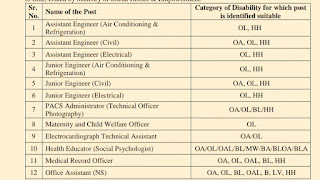 Various Non Faculty Posts →110 Vacancies, Kindly Do Check Out The Image Below For Name Of The Post & More. (Credit- The Official Advertisement No: Admn/Estt/04/2018-AIIMS.JDH). B. 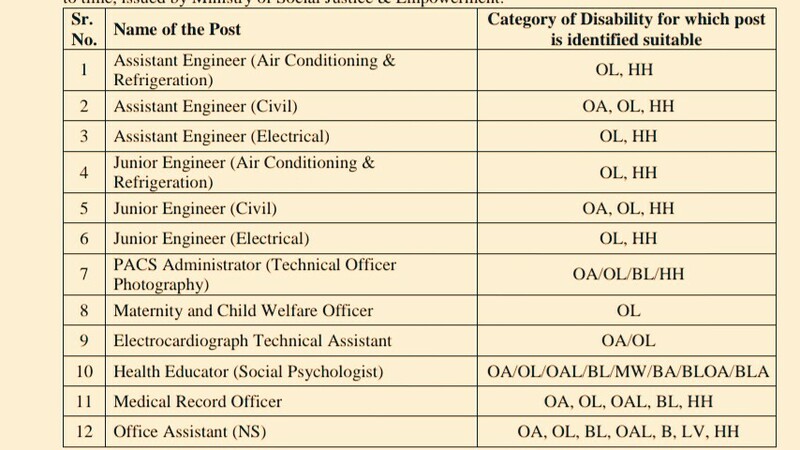 Eligible Criteria For Various Non Faculty Job Vacancy In AIIMS Jodhpur Recruitment Notification 2019. Age Limit →Kindly Do Check Out The Official Advertisement. Mode Of Examination/Selection Process →Written Exam/Skills Test/Documents Verification Wherever Applicable. Online Application/Examination Fee →₹1,000 For Unreserved Candidates & ₹200 For Reserved Candidate Which Includes Female Candidates Too, Mode Of Payment Is Online. Last Date For Online Application Form Submission →23rd April, 2019. For More Info →The Official Website Of AIIMS Jodhpur. Now Apply For AIIMS Jodhpur Online Registration 2019 For Non Faculty Posts.